Home » Awesome » Memes » Signs » My sleep number is seven beers? 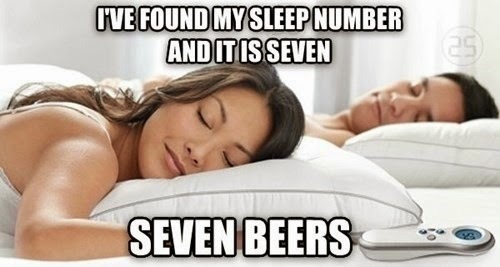 My sleep number is seven beers? Firm and Blacked Out. The only way to a good night sleep.